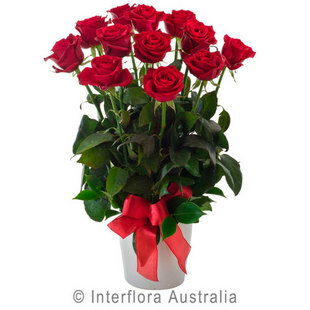 12 red roses presented in a ceramic arrangement. Available in other colours please specify in instructions or phone us on 9306 2400. Upgrade to deluxe and add a quality bottle of sparkling wine.